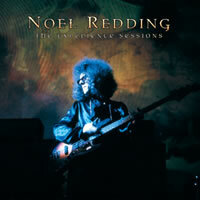 The Experience Sessions presents a collection of rare and previously-unreleased studio recordings made by Noel Redding, who played bass for two-and-three-quarter years with the Jimi Hendrix Experience. The record also contains the master takes of Redding's two stand-out original compositions, "Little Miss Strange" and "She's So Fine," both of which turned up on Hendrix records. The record also includes previously-unreleased alternate recordings of these two tracks, offering a fascinating insight into the inner-workings of the group in the studio. This disc is a cause for celebration simply for the fact that many of the tracks feature blistering guitar work from Jimi Hendrix. And on one previously-unreleased song, "Dream," Hendrix plays the bass and Redding the guitar. Even if you are a Hendrix completist (as I am) and love the vinyl- this is only worth hearing to glimpse how much of a drag- Hendrix had to put up with a talentless drag- Noel was on his creativity by pressing for writing time. The ego of Noel must have clashed with Hendrix spotlight. I love his work as Hendrix sideman, but this is really a waste of money. You will listen once and put it away.